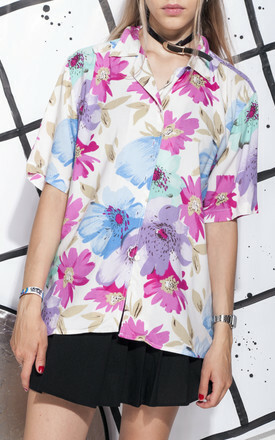 Flowers in vivid colours on a white shirt that came straight from the 90s -- oh yes! This beauty closes with small white buttons at front. Cotton fabric, short sleeves. Best worn with a watch. 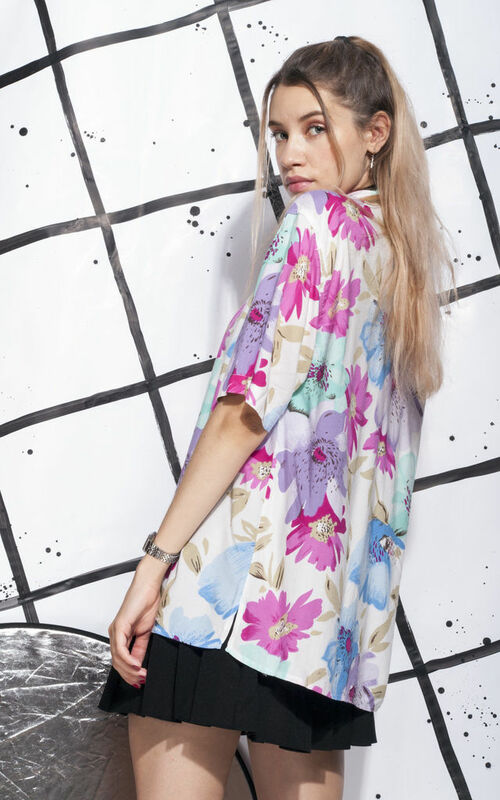 It's an oversized fit for a UK size 6 or 8.
shoulder: 46 cm / 1' 5"
sleeves: 25 cm / 0' 9"